When traveling, Jim and I do our best to enjoy the local cuisine found in the restaurants, taverns, diners, etc. 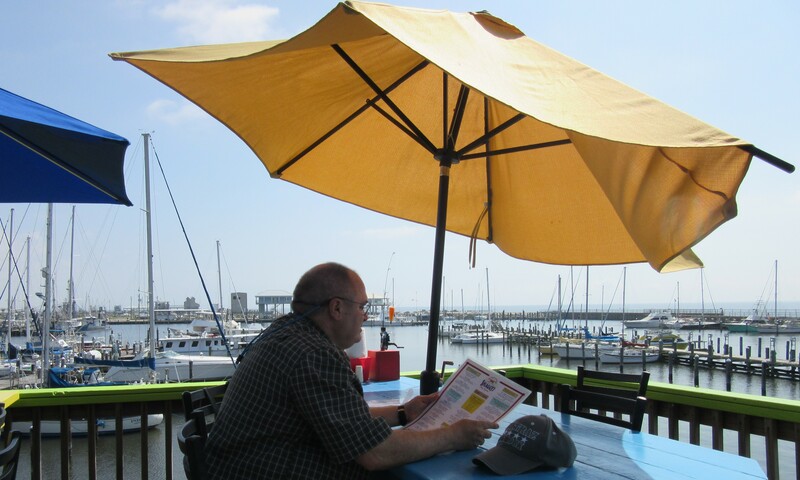 of the area in which we are currently staying, and we found some great places at which to chow down along the Mississippi Gulf Coast. Here are some the places we’d like to highlight. 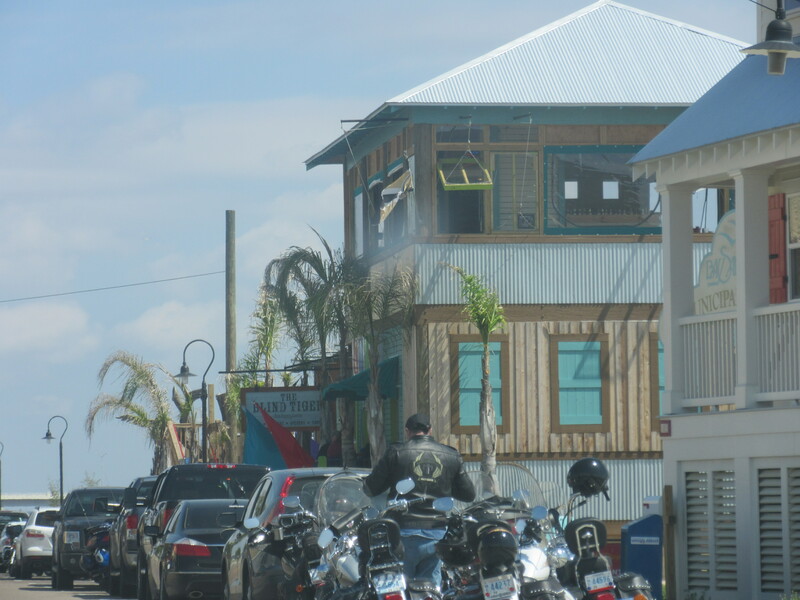 Blind Tiger – Located overlooking the marina near the bay bridge, this is a busy restaurant and bar. The atmosphere is nice, and the food was good; however we found the selections a bit limited and more expensive than some of the other options in the vicinity for similar fare. While it is a nice place to stop, given the other spots in the area, we’d not necessarily put it on the list of places we’d love to go again. 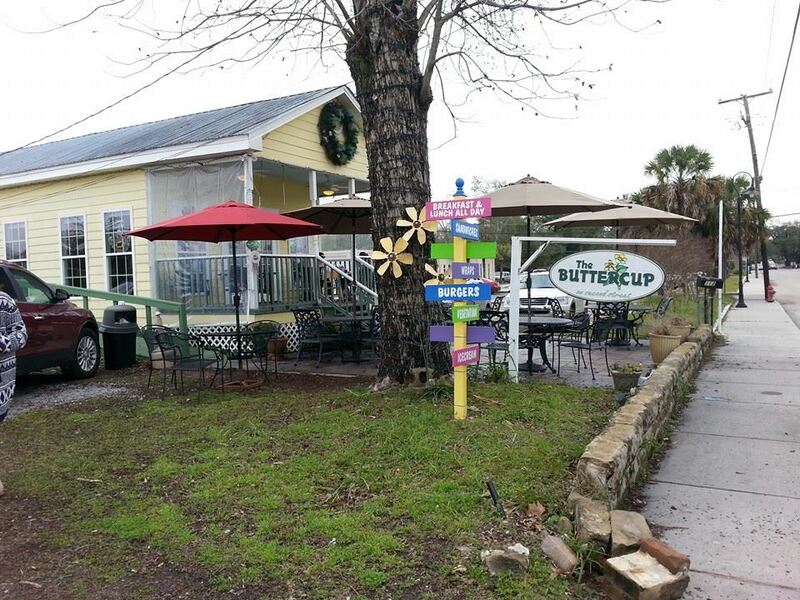 The Buttercup on Second Street – This is a quaint little diner that serves breakfast and lunch, and it was a busy spot the day I was there. It was too busy for the staff working, so I was glad that I was not in a hurry. The food was very good, but I thought it slightly on the high side, but not enough to make me get up and go somewhere else. The diner offers inside and outside seating, and it is located in a very fun walking and shopping area. Cannella International Creperie & More – This was one of our favorite food venues. 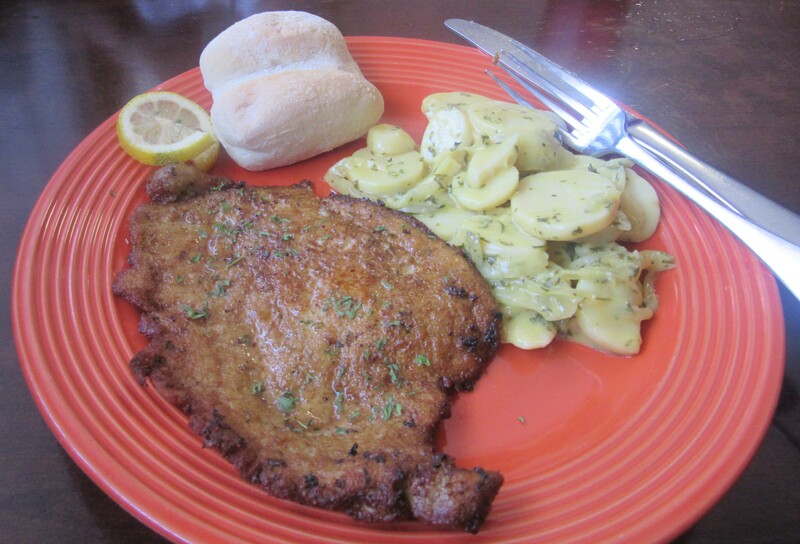 It is a small restaurant located along Highway 90 that specializes in both Italian and German food. Jim had Stuffed Flounder with Gelato for dessert, and I had Weinerschnitzel and Apple Streusel. The owner/chef came out and visited with us while we had dessert, and considering how many others were eating at that time, we felt special. This is a diamond hidden away, so look for it. 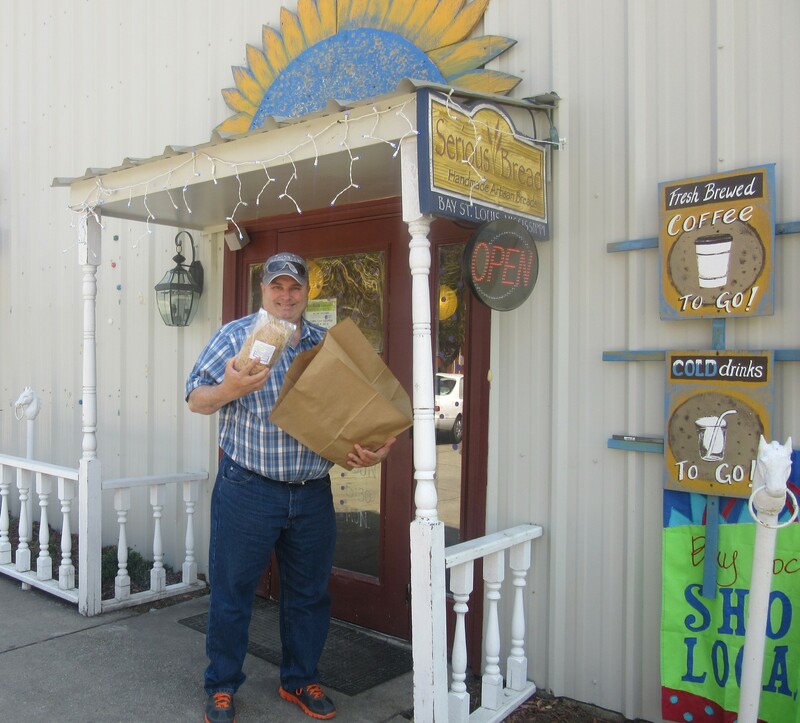 Serious Bread – This little spot is serious about its artisan breads made daily everyday except Monday. We tried a good portion of the breads, muffins, scones, and cookies, and I loved them all. You can also get some other goodies here to eat, and there are a few tables, but the focus is on the bread – seriously. This is another spot you need to find. 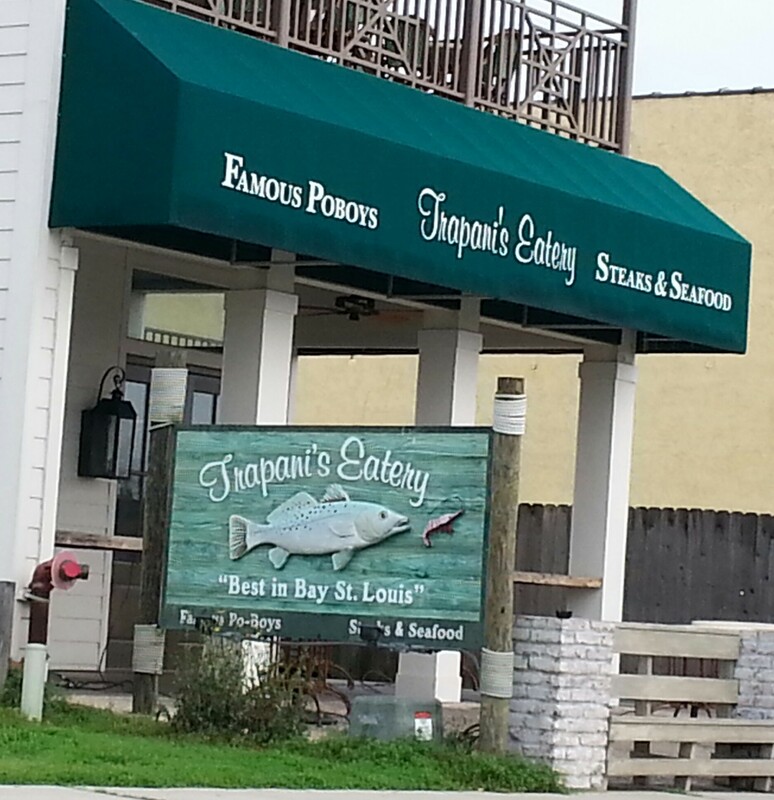 Trapani’s Eatery – Located across the street Blind Tiger along the beach highway, it is a more upscale restaurant with a good location, appealing atmosphere, and good food. Make sure you try the Dinwiddie Deluxe for dessert. 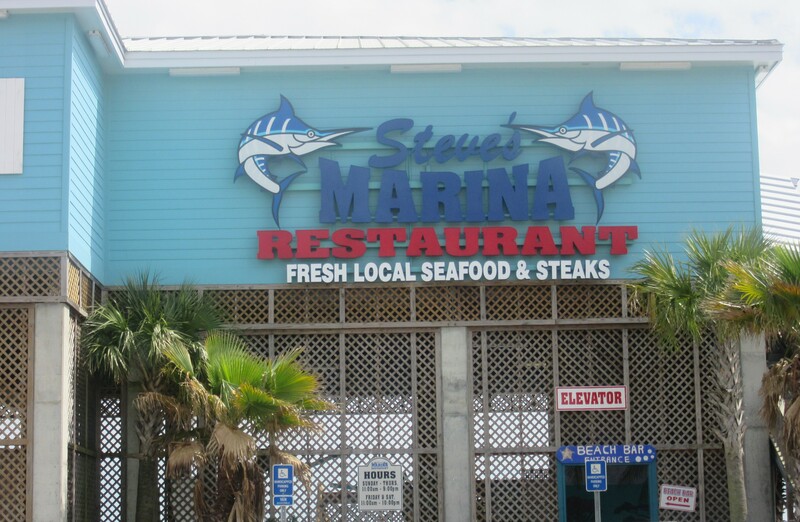 Steve’s Marina Seafood Restaurant – As the name states, it is located at the marina in Long Beach, and it is a must find place, especially if you can go for lunch. 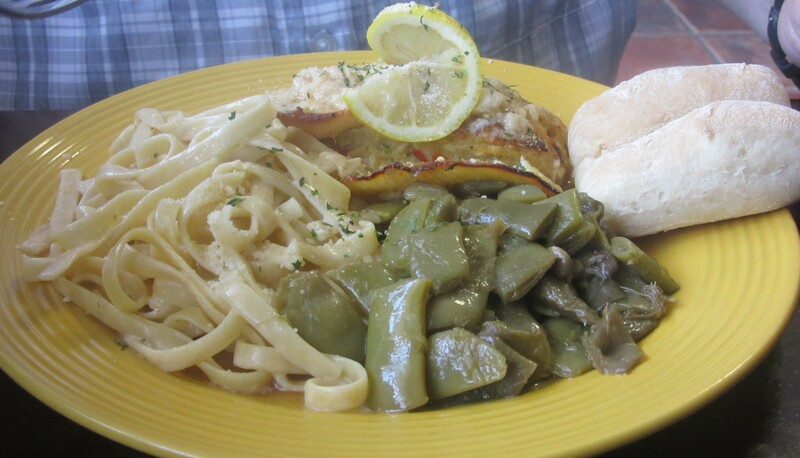 The amount of food, the quality of food, and the prices make it one of our top seafood specific places in the area. Jim and I could not eat everything that came with our lunch orders, so you may want to find out the serving sizes before ordering. Two people can easily split and entrée if each of you are not totally starved. 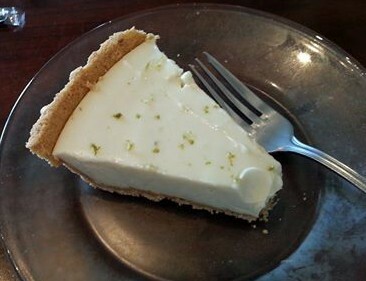 Hook – While we truly only ate dessert at this nice restaurant, I went back more than once for the made in-house Key Lime pie; I think it is the best I’ve ever eaten. That being said, I wish we had been able to eat a full meal here because the food others had looked truly yummy. 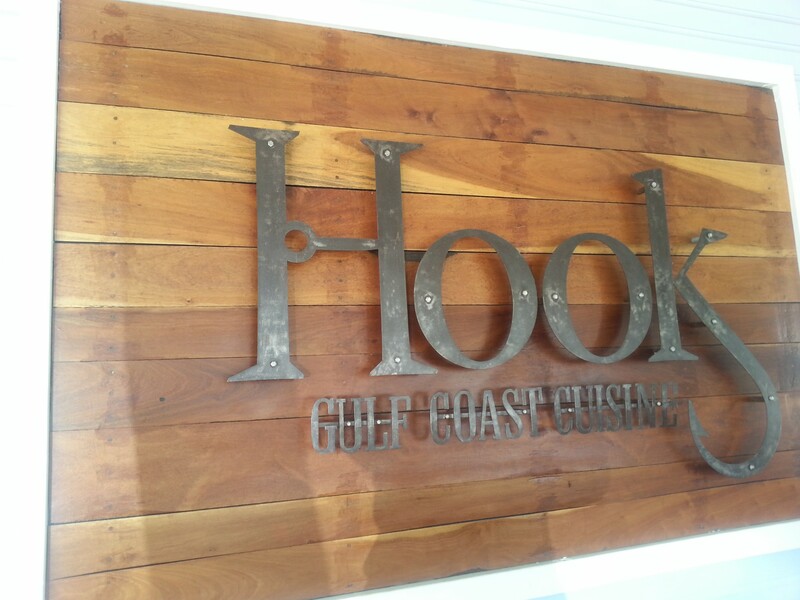 Though I was in Hook two different weeks, the servers remembered me and were very pleasant, as is the atmosphere itself. 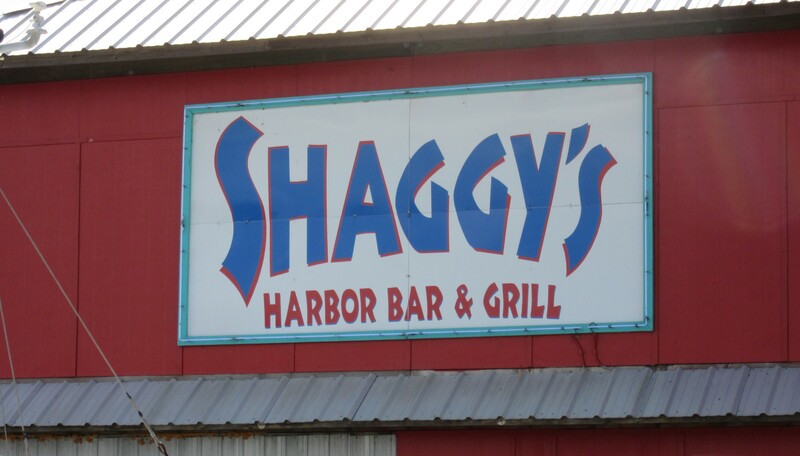 Shaggy’s at the Pass – Our absolute favorite beach-side restaurant for location, atmosphere, and food is Shaggy’s. I don’t know what else to say except make sure you stop to eat here! Silver Slippers Casino Buffet – If, like us, you are not tempted by gambling and want a large selection of various foods for a good price, go here. Monday – Wednesday, with the free Silver Slippers card, you can get the lunch buffet for half price, which is $6.93 including drink, dessert, and tax (tip is up to you extra). I took advantage of this 3 times during our stay. If you get a chance to try out any of these eating spots, let us know how you like them.